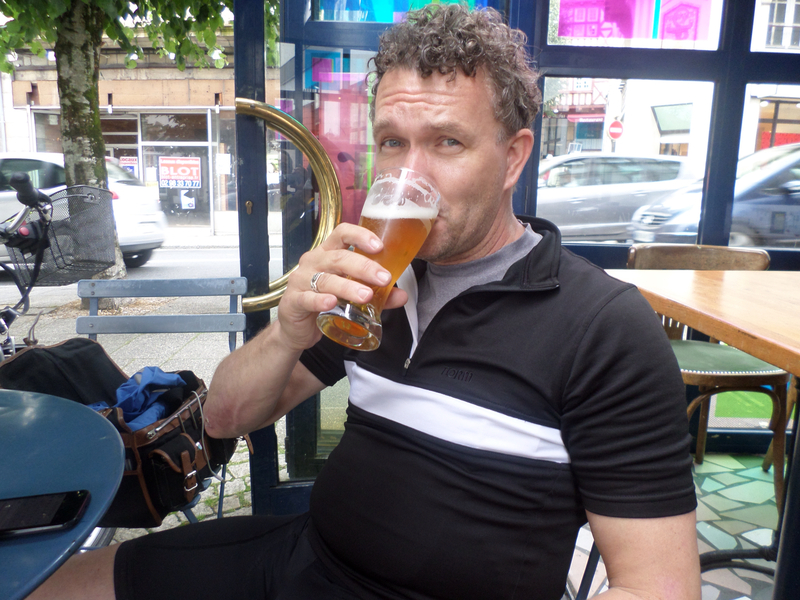 With typical luck, we picked the wettest and foulest day of Summer to set off on the annual Tour. A simple downhill run to Millbay docks was enough to turn us into drowned rats, though it must be said that the ferrry folk are most hospitable when it comes to travellers en velo, and let us straight on. 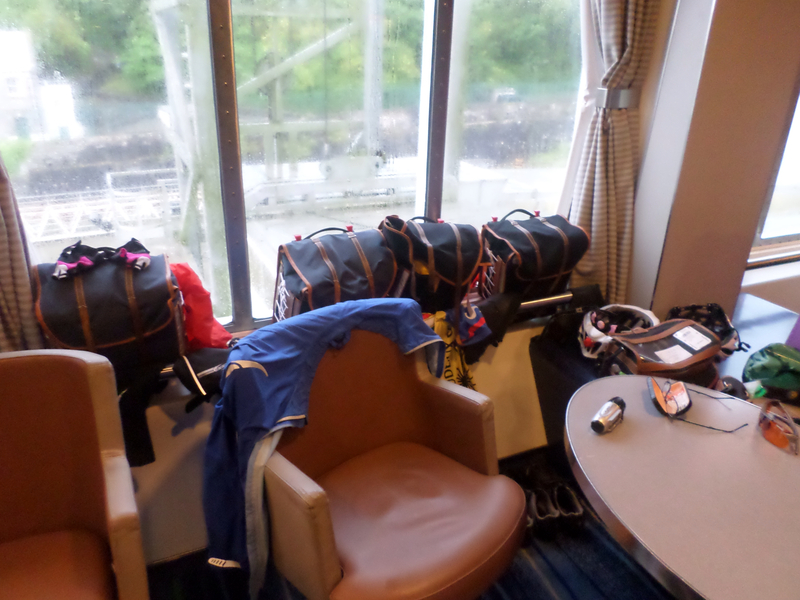 Once embarked we took up our customary seats on deck 7, and spread around enough to discourage other excited holidaymakers – the cycling shoes will do this on their own, but best to make sure by deploying wet and steaming cycling shorts too . 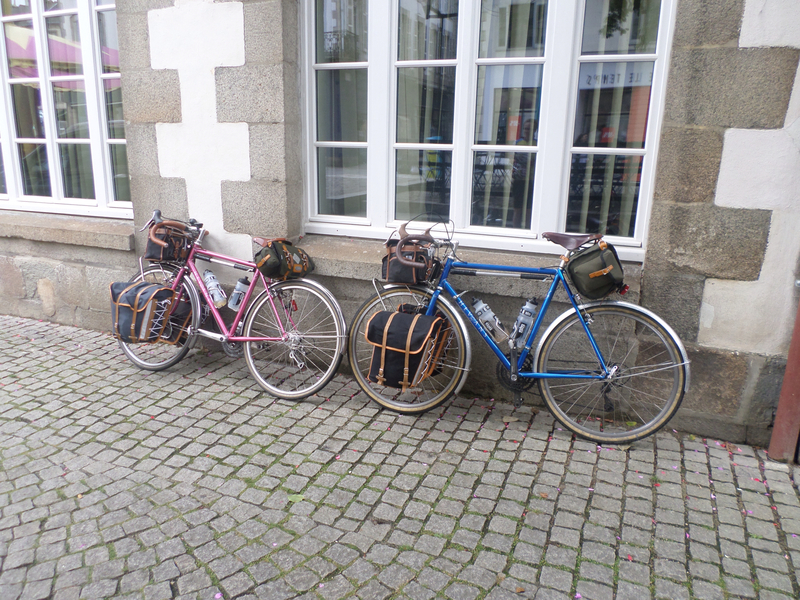 . .
An uneventful crossing later, we set off by the usual route to Morlaix. 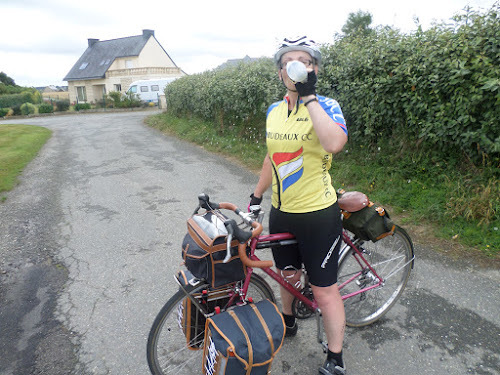 Now, just to update any blog virgins out there, S was riding her new Randonneur, made by my own fair hand, so understandably I was keen to know how it handled. 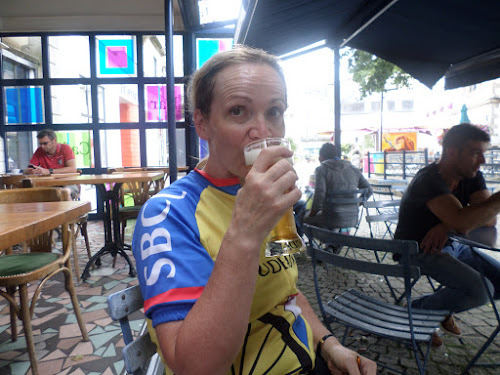 Despite much interrogation over the first few miles, in wet and windy conditions that made for a full and detailed analysis, a concise and scientifically exacting summary was unforthcoming from S – sometimes I think that she is being delibrately obstructive in my pursuit of perfection . . . So, having arrived in Morlaix, and imbibed the tradiaitonal bier at L’Hotel d’Europe, we checked into Hotel St Melaine and repaired to La Dolce Vita for le diner – ah, tradition.